On Tuesday, Judge Martin Nolan released the convicted Anglo criminals Pat Whelan and William McAteer without them spending a day behind bars, saying that jailing them would have been ‘incredibly unjust’. In the hullabaloo about Judge Nolan’s moral or legal justification, two clear errors of fact in his judgement remain unremarked. The first is simple. 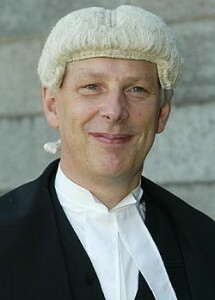 He wrongly said that Whelan and McAteer did not commit their crimes for personal gain. Whelan and McAteer’s sole motivation was keeping the Anglo ponzi scheme that made them millionaires running a little longer, even their defence team wasn’t brazen enough to suggest otherwise. 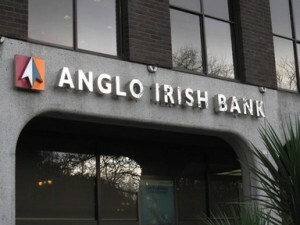 The illegal loan scheme had no function other than to prop up the Anglo share price, in which Whelan and McAteer had much of their fortunes invested. Nolan’s second error was to say that ‘a State agency, the Financial Regulator, led them into error and illegality’. Nolan said this after watching Patrick Neary, the bumbling, incompetent Financial Regulator who resigned in disgrace after the affair, give evidence in his court. With Haugheyesque consistency, Neary told the court over and again how he simply couldn’t remember key meetings and events. His bad memory did Whelan and McAteer no harm at all. But even if you didn’t see demeanour of the diffident, amnesiac Pat Neary compared to the wide-boy wheeler-and-dealers Whelan and McAteer, a quick glance of his history would tell you that Pat Neary never led anyone anywhere. This claim by Judge Nolan has opened a discussion as to who was more to blame, Anglo or the Regulator. It is a false dichotomy, akin to arguing whether a murder victim was shot with a gun or a bullet. It implies that there was a regulatory tension between Neary and Anglo that just didn’t exist. It was clear that the Central Bank lacked both the will and the capacity to regulate financial institutions. The public outrage would not allow such incompetence to be so publicly rewarded. But the Fianna Fáil/PD government were sure not to miss a chance to reward their supporters. 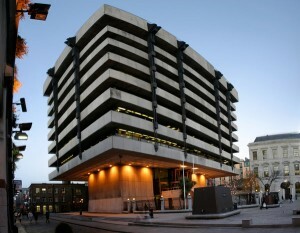 They created a new, independent Financial Regulator, separate from the Central Bank, and then created third quango, the ‘Central Bank and Financial Services Authority of Ireland’, of which both were members. Each of the three with boards, directors, lavish prestige offices, and enormous salaries. When he resigned in disgrace, Neary got a lump sum of €630,000 on top of his €143,000 annual pension, with €13,178 thrown in to make up for holidays he didn’t take while snoozing at his desk. Perhaps wisely, the Central Bank did not give out such information. For Neary, this was not a job, it was a reward. He was chosen because he was a staid, obedient career-long civil servant, not too bright, and not going to upset the government backers in the Galway Tent or their financiers. He was not chosen despite his modest talents, he was chosen because of them. John Bowe: (Laughing) That’s right. So under the terms that say repayment, we say: no. Bowe: (Laughing) There was a bit of that, there was a bit of that [discussing meeting with regulator]. Bowe: “And look lads you know, if you’re going for this now make sure whatever you get sorts it out. Okay? You know?" This is senior Anglo staff sniggering like schoolboys about how compliant Pat Neary was, how easily he was hoodwinked. And Judge Nolan has released their colleagues, Pat Whelan and William McAteer without spending a day in jail for their crimes because Neary led them, the poor innocents, into ‘error and illegality’.